“To spread light where there is only light, or pretend that there is only light because the darkness is too hard to handle, might be a step on the path of one’s personal development; but it is not the spiritual journey. There is no serious spiritual or religious path that gives any of us a pass on addressing the suffering of other sentient beings. There’s nothing “positive” about not addressing a problem simply because it’s not happening in your neighborhood. These words hit right where my thoughts are going each morning these days. Because, it is in the morning that I check the news headlines. And recently they have become so disturbing, that I have to ask myself: “What can I do about all this”? Because… Well, Marianne Williamson says it perfectly above. When I contemplate it what I get is that the Joy Keepers Network has an important role to play during these difficult times. For real and for several reasons. One of these reasons is that for us to be able to cope with such huge challenges we need to be in touch with the Joy energy. For us to continue the positive work that is needed in the world Joy is essential. For us to continue replenishing and re-balancing our energies, from every cell in our bodies to every cell in the living organism that we call our Earth, Joy is essential. Also, Joy brings us closer to Oneness. And it takes a global Oneness awareness to create the changes that are urgent and absolutely necessary for life on Earth to survive. People who believe in Oneness have greater capacity for collaboration and for creating the solutions that the world needs now. Yes, we as Joy Keepers have a role to play, along with the 2+ millions of others conscious networks along the globe. 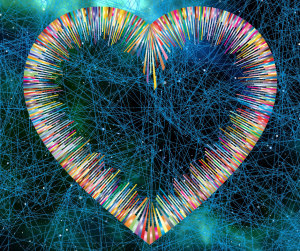 The perspective is that, even if it was born out of my life-long spiritual and personal exploration, the calling to create the Joy Keepers Network as such came to me very recently – in the Spring of 2017. I acted on it the best I could and so by the end of 2017 there were some 50+ official Joy Keepers here. Now, 1 year later, our numbers have tripled to 150+! How grateful I am for each and everyone of you, for your presence, for you reading these words, for your participation in our Global Joy Meditations and in the Joy Support Group. And how I appreciate the support from our Joy Angels. Thank you! I am also very much aware that this is just a tiny beginning. For us to actually make a difference globally, we need to grow by leaps and bounds, sooner rather than later. I have some ideas. But we need your help for these ideas to come into fruition. So I’m listing them below, and I invite you to ponder each of them and see how you can help. Please know that any help is welcome and appreciated, no matter how big or small! Help me connect with other joyful leaders (or just relevant transformational leaders) out there, so that we can collaborate. Let me know who you think I should connect with. Participate in the Joy Support Group. 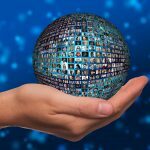 As the group grows, it will result in the creation of more and more groups, with a steadily growing impact in the world! Support Joy Keepers Network financially. It will enable us to cover our expenses as well as advertise and with that gain more visibility and more members. Also, if you can connect me with people/organizations that have the capacity to support us financially that would be wonderful! 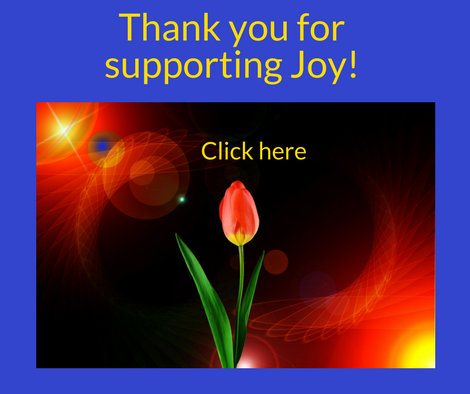 Help me build Joy Resources for Joy Keepers. The Finding Joy Ebook is one such resource, the Joy Support Group is another, there is also the Lightworker Manual. 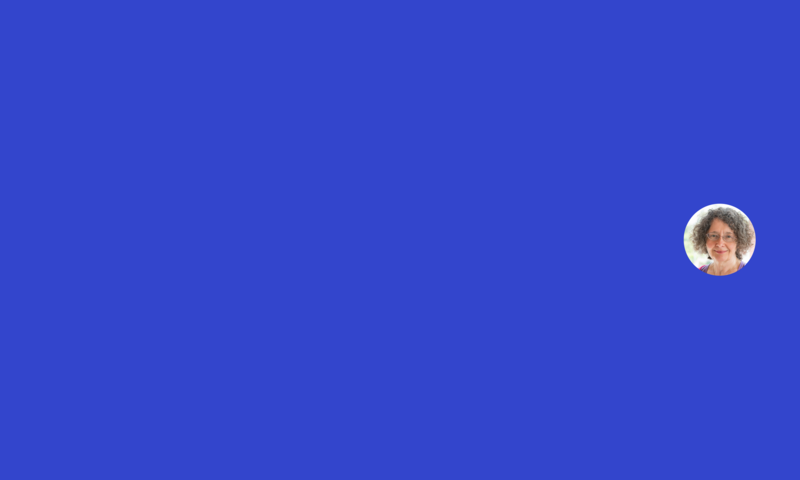 These are all resources created by me, but that’s not how I envision it to be in the future! On the contrary, I would like the Joy Keepers Network to offer a variety of resources from different teachers/leaders/mentors. If you have resources that you would include in our official library (which I will be creating) then reach out to me. Let me know what you would like to happen within the Joy Keepers Network. What are your needs? Would you like more regular Joy meditations? Any other activities? Specific resources? You can contact me here anytime, and I’ll typically respond within 24 hours. Thank you from all my joyful heart to yours! PS: Not a member yet? Join the Joy Keepers Network here. It’s free. I met Deb Svanefelt a little while ago. What I knew about her was that for many years she has been helping people with some of the most difficult cases of trauma and stress. Not what you’d call a joyful profession… And yet she is most definitely a Joy Keeper. How come? Watch below! What is the difference between joy and happiness and why does it matter? 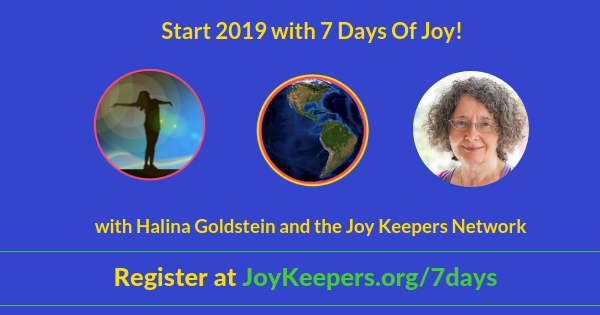 I’m happy to announce that the Joy Keepers Network partners with the 7 Days Of Rest for their 2019 initiative! Dr. Andrea Pennington is one of our Joy Angels, and has been tremendously supportive of the Joy Keepers Network from the very beginning (as in this interview where we talked about the initial inspiration for the network) and ever since. 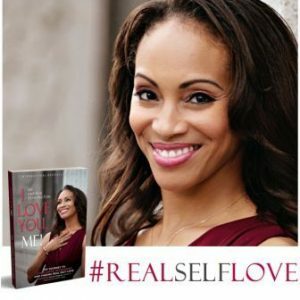 Dr. Andrea founded the Real Self Love Movement and wrote the book “I Love You, Me” to support people all over the world in building an authentic, lasting love relationship with Self. While being the best-selling author of several books, Dr. Andrea also supports others in bringing their message to the world, through her publishing company Make Your Mark Global. Dr. Andrea also helps Lightworkers share their message and make the impact in the world that they are meant to make by offering Branding Workshops and mentorship to conscious entreprenuers. There is much more to Dr. Andrea’s work. Get inspired and find plenty of free resources here! Also be sure to connect with Dr. Andrea on Facebook! Dr. Andrea graciously led the June 2018 Global Meditation. The meditation was based on the Attunement Meditation Process. “So many of us have been touched or inspired to change the way we work and to change the way we live. We really want to create a global change in consciousness and the vibration of love and joy. As all of us learn how to raise that vibration we can start to transmit it even without saying a word to anyone. We may never know whose day we brightened, we’re just sending that ripple, that is raising their vibration. We don’t need to be thanked but we remain thankful for the things that keep flowing into our lives, and that’s what keeps it going and flowing. No matter what, there is always someone on this planet that is practicing this type of healing / prayer which means there is always a cloud of it somewhere and you can tap into it when you need it. To continue this joyful process – yours and humanity’s – join the Joy Keepers Network here. Have you noticed how miraculous experiences always come with a great sense of joy? Here’s my miracle story – and some questions for you! Do you know that joy is your birthright? You are deserving of living a life of joy. 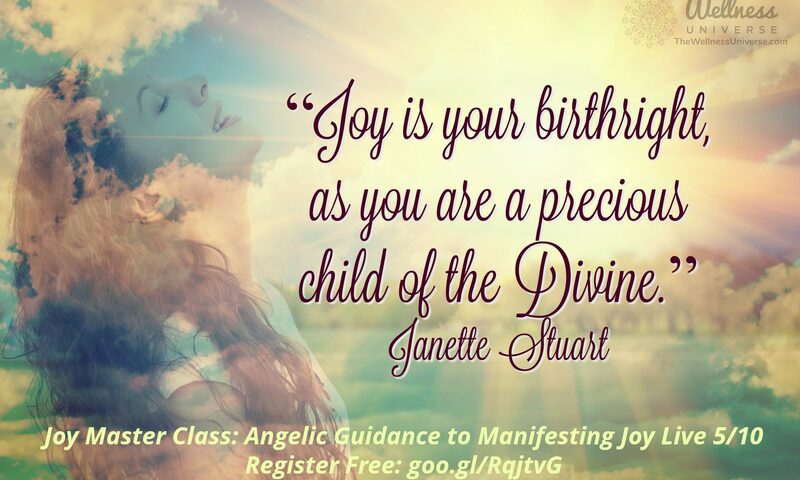 Join WU Featured Expert Janette Stuart, Founder/Emissary of Joy and Angelic Practitioner at Angel Angles in this introductory class on living a life of joy no matter what circumstances you are currently experiencing in life. Janette is an angelic practitioner who lives a life of joy and is passionate about sharing love, joy and peace into the world. A published author of 3 books about joy and a creator of an inspirational card deck, she shares her experience during a long career in finance and human resources and now doing the work of her soul in retirement. We all know how important it is to live our passion and live our purpose. I know it’s important for us as Joy Keepers. Lot of people mention following our passion, and that’s wonderful. Not so many, however, speak about the challenges of that journey… Yet the road to living your purpose is full of challenges! First, there are the challenges of even finding out what your purpose is. Then, as you gain clarity, there are the challenges of aligning with your purpose. Then, as you align, there are the challenges of living it, and, let’s face it, living up to it! Because our life purpose does require us to leave our comfort zone and embark on a journey that is equally exciting and demanding. This is by no means an easy journey, and support is needed. The Joy Of Purpose Support Group! We offer monthly Global Joy Meditations , led by either me (Halina) or a guest. Next meditation will be led by Andrea Pennington, founder of the Real Self Love Movement, on June 3, 2018. If you haven’t yet, join us here and you will receive email invitations to these, and much more!